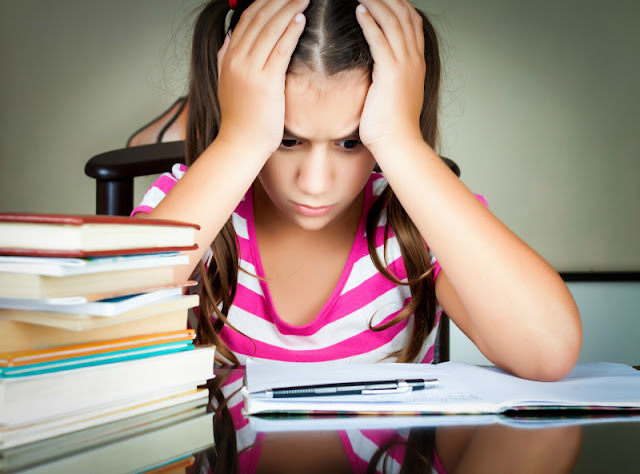 As fall approaches, many families turn to seasonal books and seasonal learning themes. Apple theme of fall good be a good time to introduce your preschoolers or kindergarteners to biography genre. 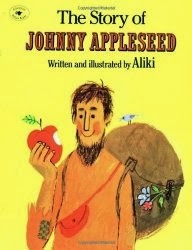 The Story of Johnny Appleseed by Aliki is a good starting point and it can be extended with some apple taste test and science investigation into how to grow apples from apple seeds like we did a few years ago in this preschool apples mini-unit. Cooler days of September and changing weather is also a good invitation to getting outside, flying a kite or a paper plane and learning more about why wind blows. 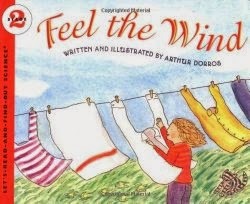 Feel the Wind by Arthur Dorros is a non-fictional book from a terrific science series Let’s Read and Find Out, and it offers answers to common questions about wind and some learning activities including a DIY weather vane. Left Brain Craft Brain offers 25 activities to learn about wind in this impressive round up. We made a point to read poetry to our daughter since she was very young. She is a big fan of poetry that rhymes (think Dr Seuss), but we are also trying to introduce her to different poetry styles. Ana and Adam Build an Acrostic is a book from Poetry Builder series explaining not only the poetry styles, but also how to write poems in that style. Acrostic poems is a good start for even the youngest writers, and I want to take an opportunity to recommend this great book of acrostic poems about fall by Steven Schnur: Autumn: An Alphabet Acrostic. Simply Vicky has a great set of printables that is together with a simple lesson for kids on writing acrostic poems. My daughter really loved both a story in We Are Off to Look for Aliens by Colin McNaughton and its unusual design. It’s a book within a book where an author Dad hands over his new book to his kids (that other book is hidden within the bigger hardcover book). The inside story is all about visiting different planets and meeting all kinds of aliens while the “container story” has a very fun twist that delighted my then 5 year old. We had a lot of fun drawing our own aliens and making them out of playdough, but if you want to pair some alien fun with learning activities, this “Roll a Sight Word Alien” activity from Playdough to Plato will certainly make learning sight words a lot more interesting. I already wrote about my daughter’s love of mythology that came on when she was in preschool and is still burning strong today. She was very excited to get Greek Myths book by Marcia Williams, the same author who wrote and illustrated Tales of Gods and Pharaohs. I think she would enjoy this book more if she read it before an Egyptian book, we both thought that while this one was strong, a book with myths from Ancient Egypt was better. Still, I recommend this book as a great visual introduction to Greek myths for kids who are not as familiar with them as my daughter was at that point. An interesting extension for this book would be building your own Greek Myths playscape as KC Edventures did while reading other books about Greece. I expect thought that my daughter would want her Olympus to be over The Empire State Building like in Percy Jackson’s series. 6. What Do People Do All Day? Last, but not the least, I am sharing one of our most favorite books for many years – Richard Scarry’s What Do People Do All Day? Even though this book is “classic”, it is still great for introducing many careers to kids of preschool and early elementary school age. I wrote more about it in my recent post Who Will I Be?, but I really like what Stir the Wonder did with this book by transforming her house into Busytown. What would you add to this list for 5 year olds? I love that mythology play scape! That alien book looks really fun.